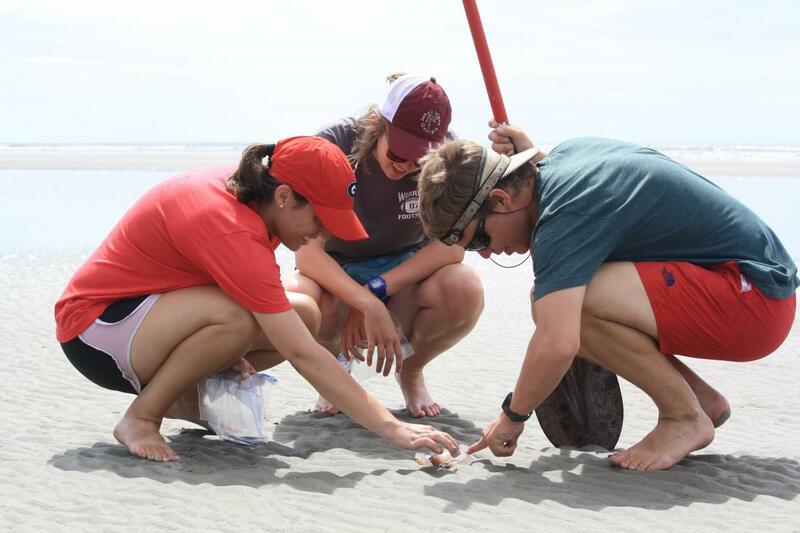 Experience Georgia’s coastal environments and participate in marine field research at the University of Georgia’s coastal campuses. Explore the salt marsh…go to sea on an oceanographic research vessel. Note that a $150 deposit is required. MARS4500 – Field Study in Oceanography and Marine Methods (3 credits). Students will be introduced to field and laboratory methods used to investigate marine ecosystems. This course emphasizes methods for identifying and studying marine organisms, oceanographic and coastal marsh sampling, and other field research methods. Major course topics include: organisms of the marine environment; sampling and analytical approaches for studying invertebrates, plants, and plankton; survey tools for the study of marine ecosystems; and data collection from oceanographic vessels. This course satisfies the laboratory course requirement for Biology majors, or can be used as a Biology elective. It satisfies the methods/skills requirement for Ecology majors. BIOL4960 – Undergraduate Research in Biology (4 credits) Students will conduct laboratory and field research conducted under the supervision of a faculty member in biological sciences. This course satisfies the laboratory course requirement for Biology majors, or can be used as a major elective. It satisfies a major elective for Ecology majors. MARS4510 – Independent Study in Oceanography and Marine Methods (4 credits). Students learn to conduct independent field research in marine biology and oceanography under the supervision of a faculty member, gaining hands-on experience with field sampling gear, laboratory instruments, and data analysis tools. With the help of instructors, students design experiments, sample marine environments, and analyze their data. For Biology majors, this course provides upper level elective credit towards the 39-hour Rule. For Ecology majors, it satisfies a major elective requirement. Students are required to register for MARS4500 and one of the independent research courses. To accommodate hands-on learning, enrollment is limited to 15 students. The University of Georgia Marine Institute (UGAMI) is located on Sapelo Island, an undeveloped barrier island situated between the Atlantic Ocean and pristine salt marshes. UGAMI has a long history of coastal research and has made significant contributions to understanding of the links between uplands, salt marshes and estuaries. UGAMI is located within the NOAA Sapelo Island National Estuarine Research Reserve (SINERR). There are fewer than 100 residents on the island. 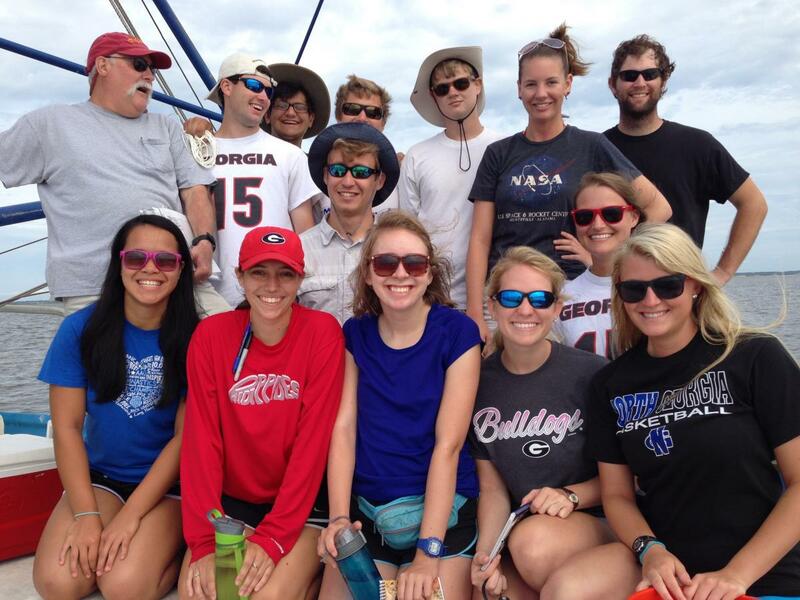 Students will be in residence at the UGA Marine Institute (UGAMI) on Sapelo Island. During the program, students will take several field trips to other locations on the Georgia Coast. Students will be responsible for tuition for 8 credit hours (HOPE can be applied) and applicable UGA fees. The program fee is $1,600. This covers accommodation for 4 weeks. Dinner will be provided each day. Transportation between the coastal facilities and field study sites will be provided. The laboratory fee is $142. The program fee does not include student travel to and from the coastal sites at the beginning and end of the course. Breakfast and lunch will not be provided, but facilities for food storage and preparation are available. Please contact Dr. Damon Gannon if you have further questions.